As a marketer or small business owner, you know firsthand how many marketing opportunities the season of Spring brings with it. From St. Patrick’s Day, to Easter, all the way to graduation and wedding season, the months of Spring provide a variety of opportunities to connect with your target audience and share your valuable product or service with them. One such holiday is Mother’s Day! Mother’s Day is just around the corner on Sunday, May 13th. It’s the perfect opportunity to engage with consumers by celebrating a day for the mothers in their lives. If you want to learn more about marketing this week, we can help you get started. Here are five ways to market on Mother’s Day. 1. Build a Mother’s Day bundle. One of the simplest ways to market on Mother’s Day is through an exclusive, promotional Mother’s Day bundle. Bundle some of your best products or services together to offer as a Mother’s Day gift for customers. This can be anything from a discounted price, to including a free gift or even offering one-time-only services. Consider how you can put together a bundle of products or services and then spin it in a way that connects with your consumers during their Mother’s Day endeavors. 2. Offer discounts for kids. What’s a key component of motherhood? Children. Then what better way to appeal to mothers on Mother’s Day than by offering discounts for their kids? Many kids will save up their allowances in order to buy something special for their mom, but will often feel disheartened if they can’t afford anything they want to give. Reach out and connect with kids and their moms by offering a special discount for the “this age or younger” range. Or, pick out a few products and services and include them in a “kids section” at a more affordable price for the little ones. 3. Share on social media. 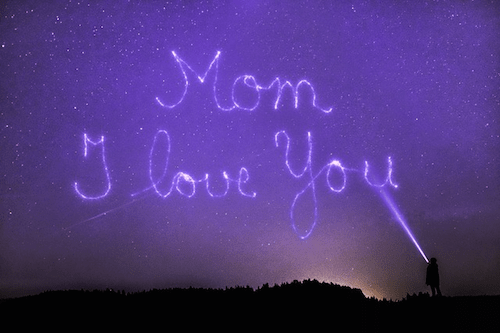 Holidays like Mother’s Day are also the perfect opportunity to connect with your audience on a personal level and show them a deeper look at your brand. Share about the holiday on your business social media platforms. Wish your followers a happy Mother’s Day, post a “throwback” picture of an employee with his or her mom or interview a team member by asking questions about his or her mother. Posts like these engage with your audience on something they know and care about firsthand—their mothers. It’s also a fun and entertaining way to build up your brand as a personal and trustworthy business. 4. Host a photo contest. If you want to take your social media efforts even a step further, host a photo contest among your followers to see who can share the best, funniest or biggest “fail” Mother’s Day picture. Offer up a small prize in honor of Mother’s Day and get your followers engaging with their brand and sharing with their followers. Photo contests on social media are the perfect way to encourage current and potential customers to share about your brand on their personal pages, thus furthering your marketing reach even more across various profiles and friends lists. 5. Give a free gift for moms. Finally, this one’s pretty simple: give a free gift for moms. After all, Mother’s Day is all about saying thank you to the mothers in our lives. Show how your brand appreciates moms by offering up a free gift—either a product, service or even something outside of the business—and encouraging moms and their families to come in claim it. Giving a free gift is also a great opportunity to attract new customers who could potentially continue their business with you well into the future. This Mother’s Day, embrace the Spring season by reaching out to moms and engaging them with your brand. Try out some of these tactics to see how you can market on Mother’s Day to grow your business.